For the past week or so, I've been getting a series of Pingbacks from a spam blog that reposts a blog post a couple times a day as a new post each time. It's up to about 220 copies of the post, each one having sent me a Pingback, and each one showing up in my reader as a notification, which also causes it to be sent to my phone. Since I use webmention.io to handle my incoming Webmentions (and Pingbacks), this would be the best place to block the site, rather than filtering it out in my reader or my website. 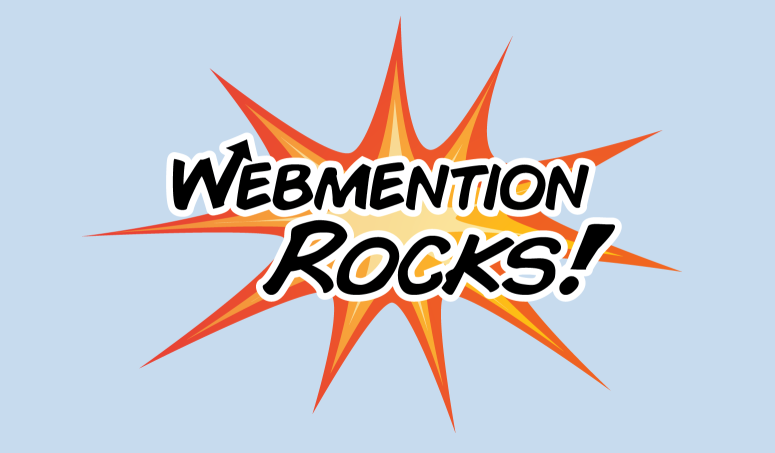 Webmention.io previously had no way to actually completely block a domain. As Webmentions have started growing in popularity, it's become obvious that we need more tools to combat spam and abuse. While this site was actually sending me Pingbacks, the same applies to Webmentions. Today I added a new feature to webmention.io to allow people to entirely block a domain, and delete any webmentions received from that domain. From the dashboard, you can click the "X" on any recent webmention, or you can paste a URL from one you've received in the past. 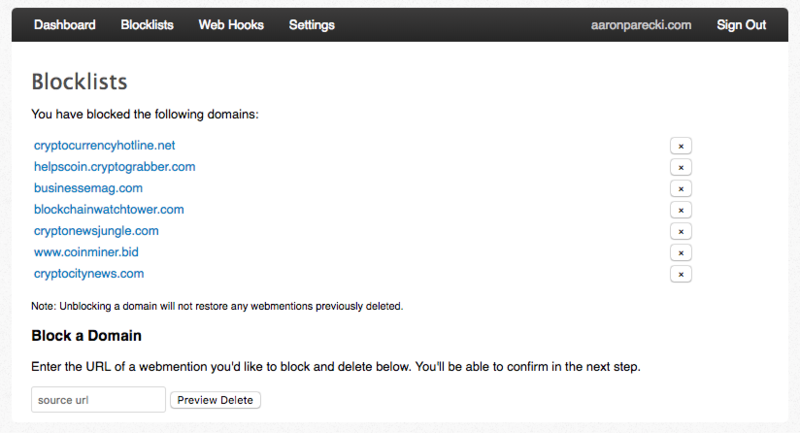 You'll be taken to this screen where you can either delete just the one webmention, or entirely block the domain. Once you've blocked the domain, it will show up in your blocklists page! I hope this helps others keep out spam as well! I'm sure looking forward to never seeing that notification on my phone again! are there any mainstream uses of it in the wild? super open to this idea - I just have no idea what it would look like. @johnonolan @stefanbc @teabass I have a pretty good idea! 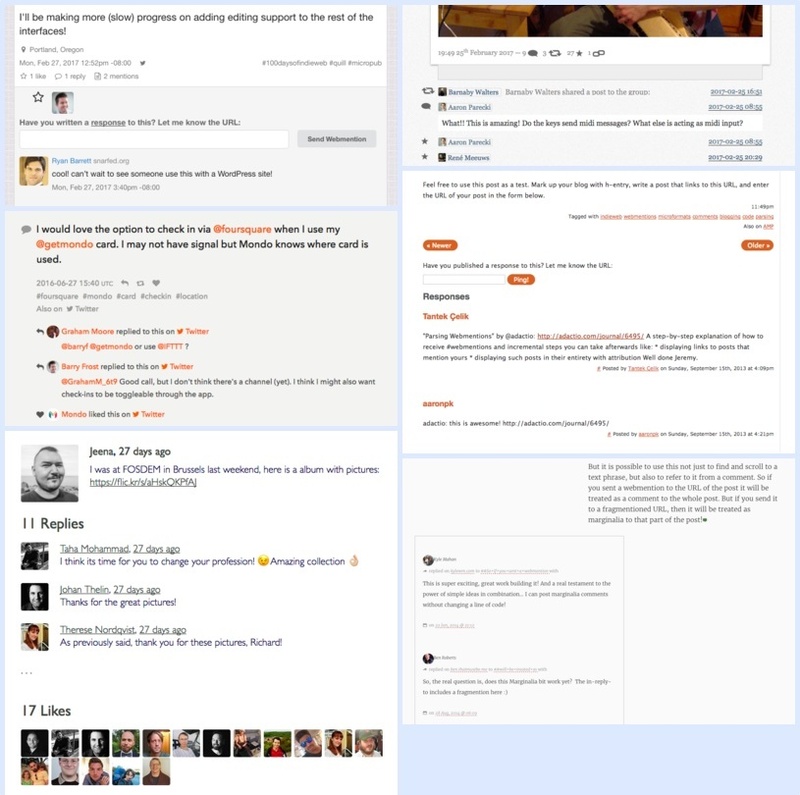 https://www.w3.org/TR/webmention/ All the comments on my site are received via Webmention! Following up on yesterday's update of adding a Webmention form on IndieNews' Webmention endpoint, today I finished building out the UI for submitting to IndieNews from a browser. Now the "Submit" link includes a form where you can paste in your post's URL, in case your website doesn't send Webmentions automatically. If you use this form to send the Webmention, then the response will be an HTML page instead of a JSON response. 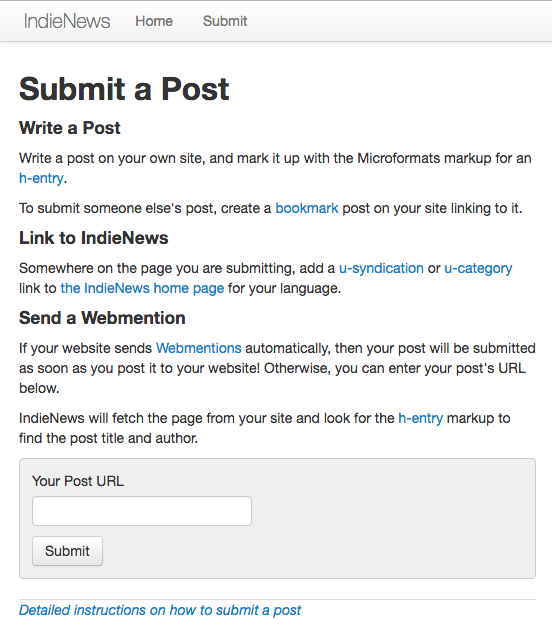 If the submission is successful, then it will actually return a 302 redirect to the IndieNews permalink of the post! This is a slight deviation from the Webmention spec, but it's fine because we don't really care if the browser is a spec-compliant Webmention client. Also thanks to Chris Aldrich for the suggestion of using a dropdown for the target URL selection on the generic Webmention form. 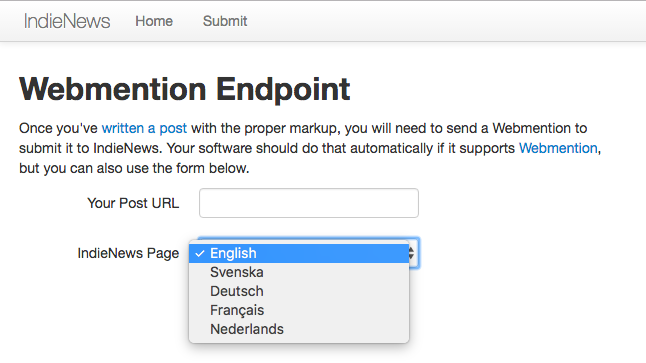 This is the form you see when you visit the Webmention endpoint, which is not specific to the language you're on. 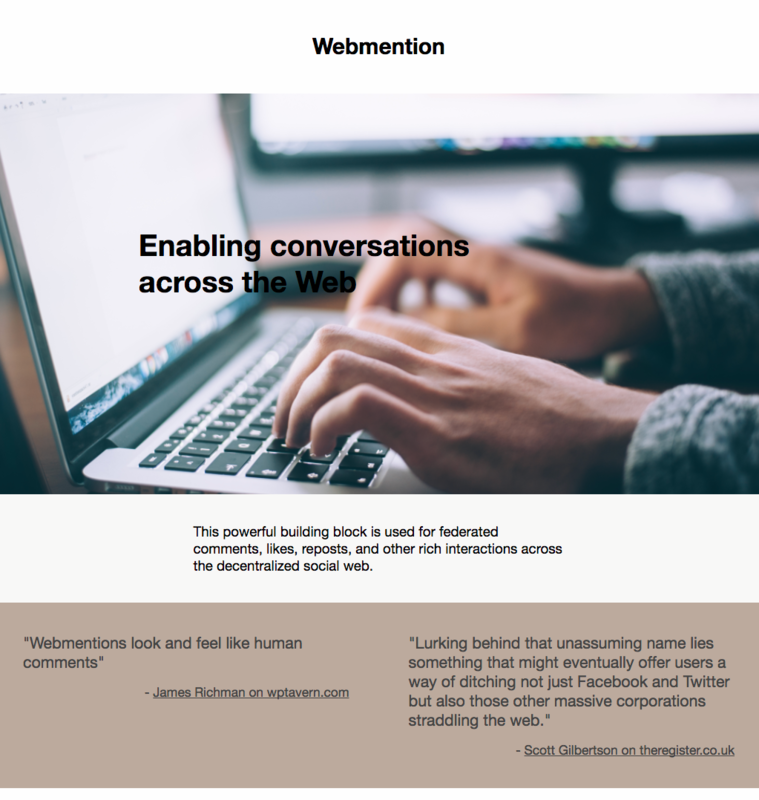 "Webmention works much like @mention on Twitter, Medium, Facebook, and others, but is platform independent, which means you can use it to ping any website on the internet that supports it. 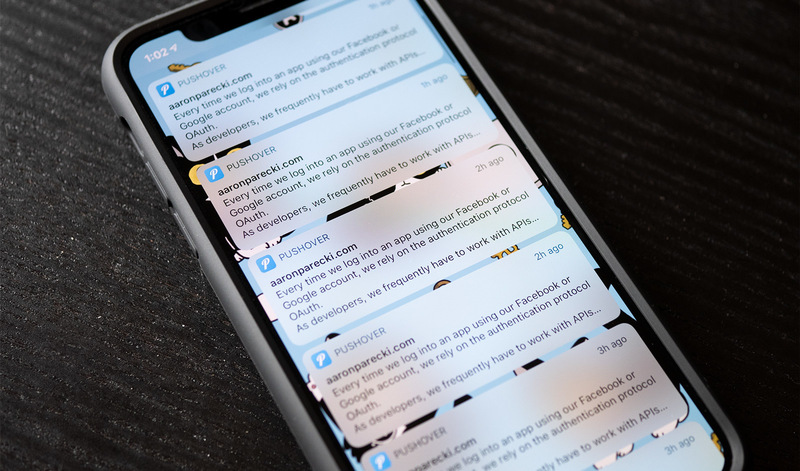 Imagine if you could reply to someone on Twitter from your WordPress site? Or if you could use Facebook to reply to a post on Medium?" This was a tricky one, spawned from when sebsel failed to discover the Webmention endpoint for one of Zegnat's posts. In that case, the Webmention endpoint was a relative URL and sebsel was sending a Webmention to a URL that was also an HTTP redirect. 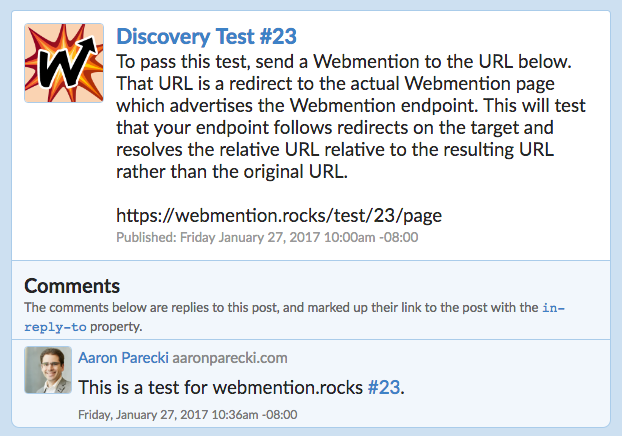 The new test, webmention.rocks #23, instructs you to send a Webmention to a URL that is a redirect, and that page advertises a relative URL endpoint. You'll need to make sure that the URL you pass to your relative URL resolver is the final URL after following the redirect, rather than the one you start with. So give it a shot! Test if your relative URL resolution code works properly! Thanks to @Zegnat and @sebsel for finding some new new edges case in Webmention discovery that deserve new tests! 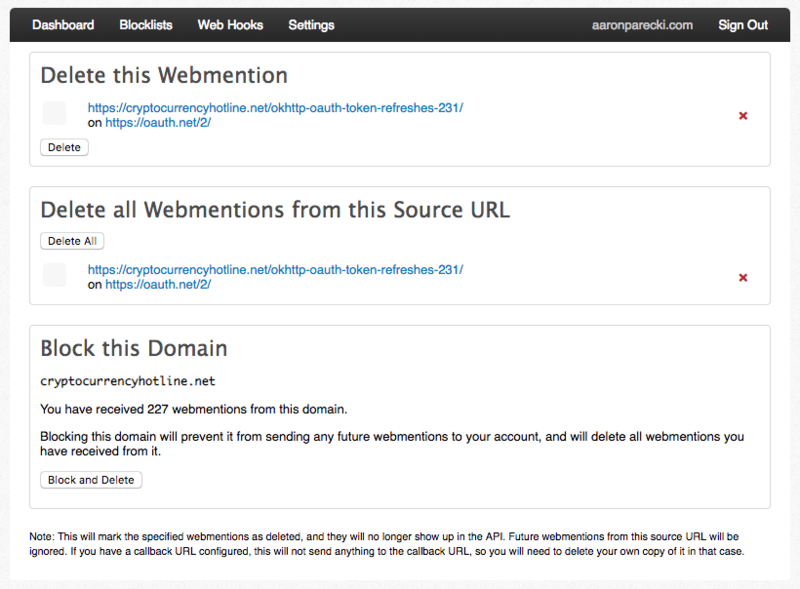 The new test, #22, advertises its Webmention endpoint with a URL that is relative to the page (e.g. <link rel="webmention" href="22/webmention">). The existing relative URL tests were absolute paths (e.g. <link rel="webmention" href="/test/22/webmention">). If you already handle relative URL resolution with a library then chances are you will pass this test without any new code.